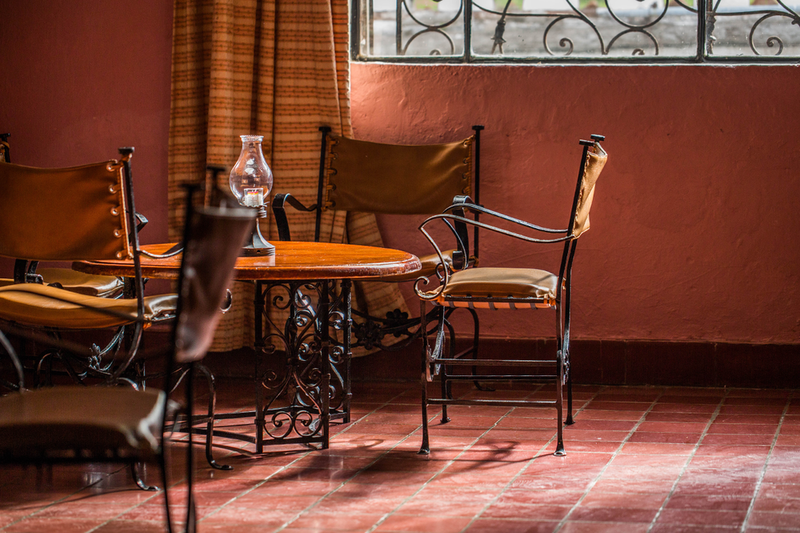 Established in a hacienda dating back to the 1880s, Rancho Hotel El Atascadero sits atop historic San Miguel de Allende. Family-run for over 60 years, El Atascadero holds a proud tradition of excellence in service, rich history and an incomparable setting. With lush natural gardens, an on-site restaurant with traditional and locally-sourced food, a resort pool, and more — your stay at El Atascadero will truly be one to remember. 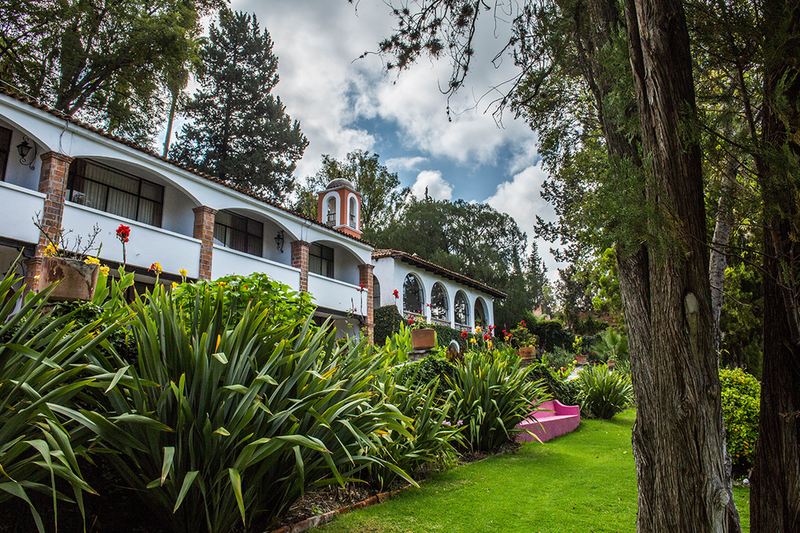 Designed to highlight the botanical and historical beauty of the region, our ample natural gardens are unlike anything else in San Miguel De Allende. Get in touch with nature and relax knowing exceptional service is close by. Explore all of the amenities we have to offer. 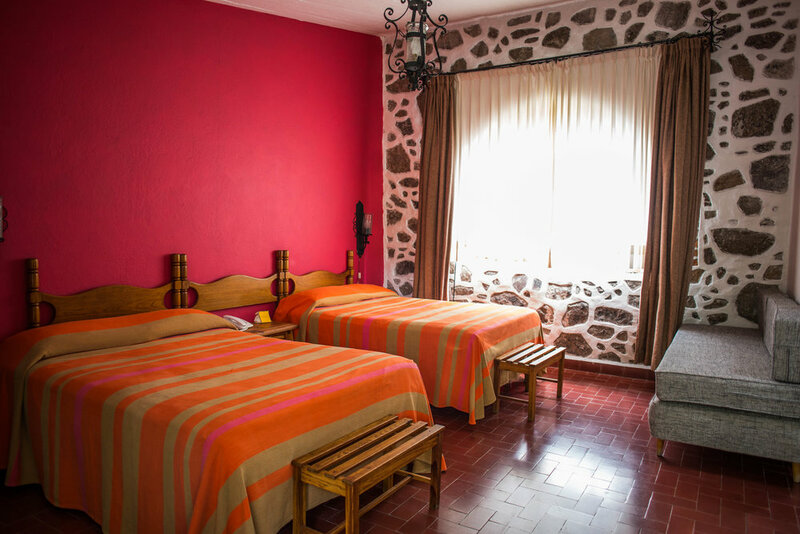 Our hotel rooms are furnished in a beautiful colonial style, while still maintaining the comfort and luxuriousness of our times. Ample and relaxing, each room is sure to exceed the expectations of even the most demanding traveler. Recently awarded "Best City in the World" by Travel + Leisure, San Miguel de Allende is a magical town in central Mexico. Rich in culture, food, nightlife and more, San Miguel is just a stone's throw from El Atascadero, ready to be discovered. Our restaurant offers traditional and authentic Mexican dishes featuring fresh, locally-sourced ingredients. Our seasonal menus offer a variety of dishes as well as tried-and-true staples that are sure to satisfy palates both conservative and adventurous. We're thrilled to host you and to make your stay with us comfortable, easy and unforgettable. Click below to inquire about any date you'd like to visit, number of guests, and any special requests you may have; and we will be in touch as soon as possible.